The end of an era isn't always a bad thing. Goodbye, Nexus. Hello, Pixel. Google pulled back the curtain on two new smartphones at its keynote today, marking the end of a hardware era and signaling the start of something exciting. 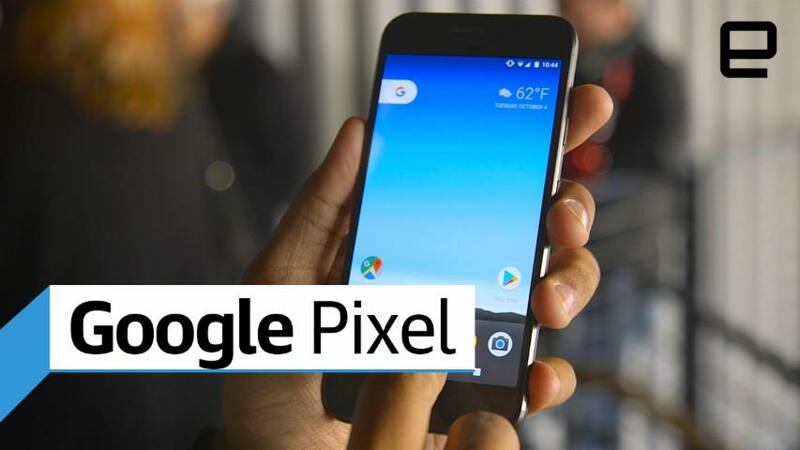 The Pixel and Pixel XL were tailor-made to reflect Google's changing priorities, and after a little bit of hands-on time, I'm cautiously excited about this new direction. But first, an admission. All those leaked renders didn't fill me with much hope, and seeing the Pixels in person didn't change my mind much. They're definitely well-built phones -- as befits a pair of products assembled by HTC -- but they're not particularly striking. 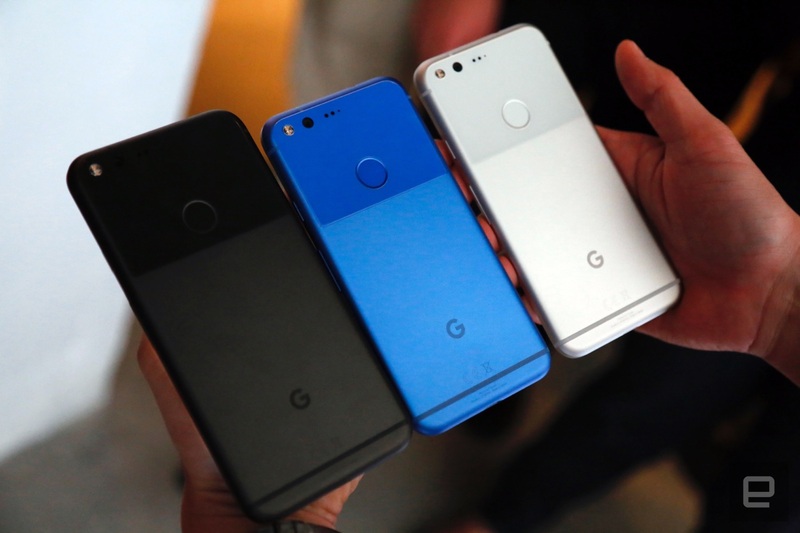 Then again, one has to wonder if that was the whole point; it's not hard to look at the Pixel phones as a blank canvas meant to let Google's software prowess shine. We'll get to software a little later, though. 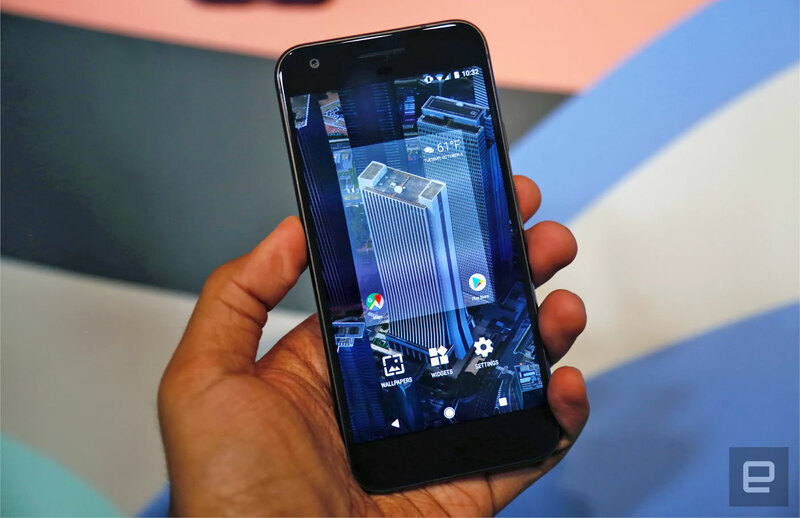 I spent most of my time with the standard Pixel and its smaller, 5-inch, 1080p AMOLED display -- it would've been nice to get a Quad HD screen in here, but text was plenty crisp and colors were sufficiently bright in Google's too-dim demo area. (Don't worry: the Pixel XL's 5.5-inch AMOLED screen brings the Quad HD heat.) Everything feels nice and fluid too, though that's to be expected from pair of smartphones with quad-core Snapdragon 821 chipsets and 4GB of RAM. All told, the Pixels have more than enough horsepower to keep even the pickiest phone buffs pleased. Beyond pure computational power, I'm looking forward to seeing how the Pixel and Pixel XL's batteries hold up -- their capacities are 2,770mAh and 3,450mAh, respectively. And then there's the camera, which Google and the independent researchers at DxOMark say is the best you'll find in a smartphone. I'm not ready to weigh in there yet -- testing cameras in a scrum like this is always a tricky exercise -- but the Pixel and Pixel XL do at least make a hell of a first impression. The photos I snapped with their 12.3-megapixel cameras achieved a level of detail I didn't see coming, and the HDR+ mode did a great job of boosting brightness and colors. More important, that HDR mode (which is on by default) is almost shockingly fast. Most HDR camera modes take one long exposure and process that image for clarity, which can mean trouble if your hand isn't steady. The Pixels' HDR+ modes take a series of shorter exposures that get stitched together for a crisper, brighter shot without a delay. Now, about that software. That new aesthetic we've seen in leaks for months is finally in place and it'll take a little getting used to -- it's one of the biggest visual changes to Android in recent memory. Swiping to the right on your home-screen reveals the traditional list of Google Now cards, but you now have to tap on that Google logo pill to bring up the search bar. All of your apps still live in a separate launcher (as opposed to being splayed all over your home screens), but you'll now get to them by tapping on an arrow icon that's almost imperceptibly small. You can also set up the Pixel to display trending topics right on your home screen, which can ultimately felt pretty pointless -- I don't know what Candace Cameron Bure did to make headlines today and I really don't care. Of course, these are the first phones with Google's helpful "Assistant" onboard, and you can access it by long-pressing the home key. From there, you can kick off a conversation that feels a lot like talking to Siri -- the Assistant can rattle off facts and hook into apps like Uber to finagle rides. It isn't long before the true power of Assistant comes to light, though. 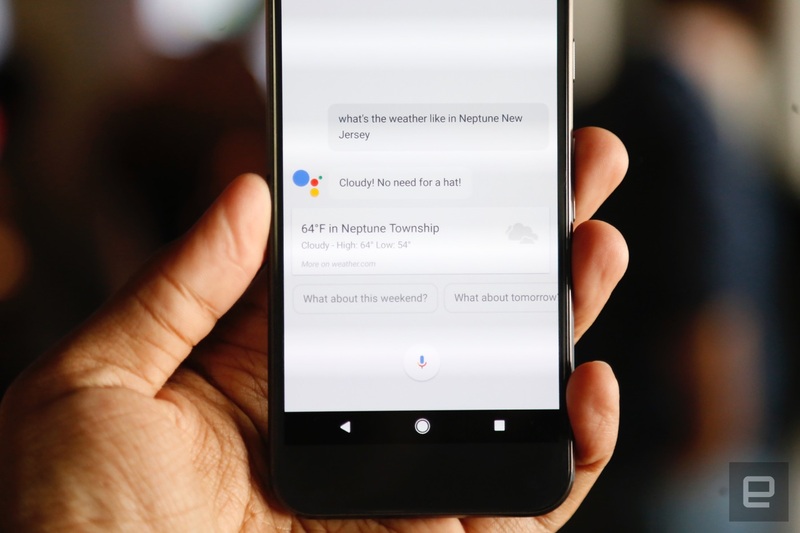 While it ultimately does a lot of the same things Siri can, the Assistant's ability to more deeply dig into your preferences and connected Google services just makes it feel more capable. What's more, the Assistant is ready and able to keep track of the context between your requests -- getting answers to a series of follow-up questions doesn't require you to specifically tailor your syntax. It's casual, it's conversational and it works. It'll be a little while before we get to review either Pixel phone, but for now, there's a lot to be excited about. 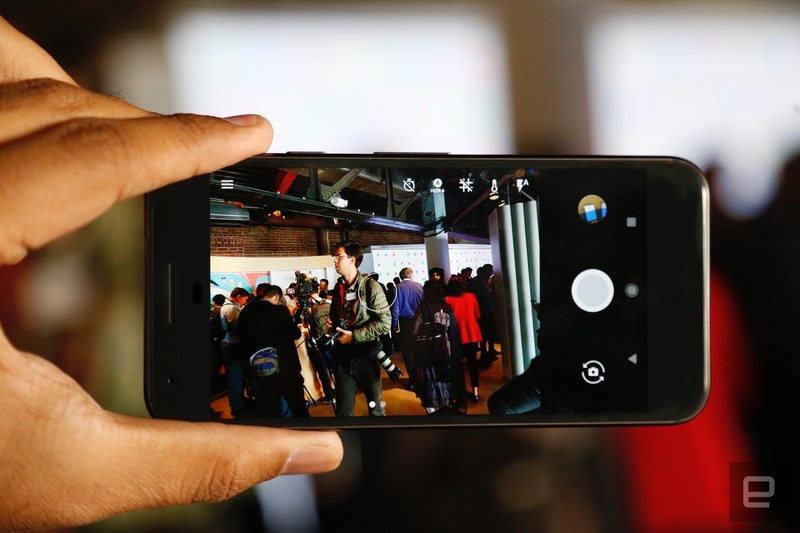 Beyond the addition of some valuable new software features and a camera that just might put all the rest to shame, there's a lot to be said for Google owning the phone-production process from beginning to end. Full control means tighter integrations of software and hardware, and more important, the latitude to implement innovative, weird stuff without compromise. Make no mistake: These Pixels have potential, and they're just the beginning.